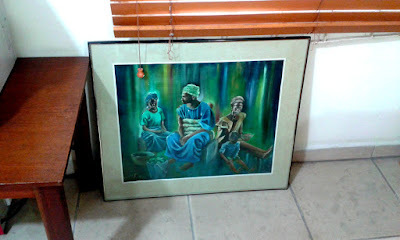 I was at Port Harcourt recently where I spotted an early painting, which was leaning on a wall in my brother's office. Seeing that piece of work took me back almost two decades! I had just discovered the oil medium and was still struggling to learn how to manipulate the thick, sludge-like paste that was completely different from watercolours! 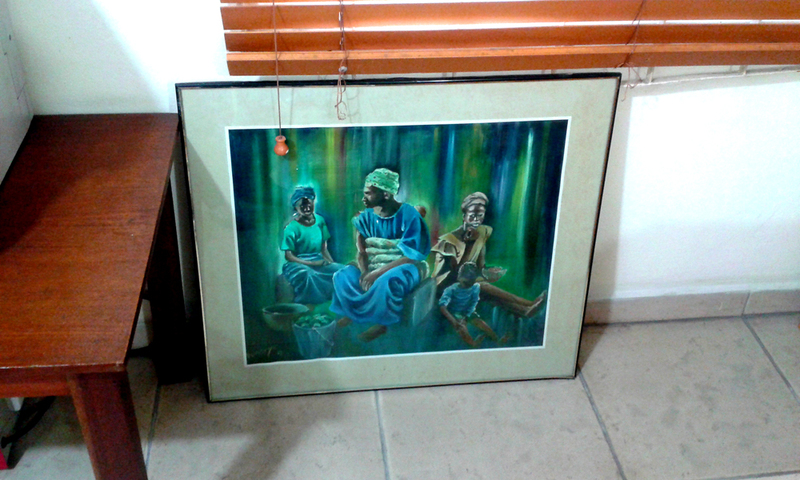 The work was done on cardboard hence the framing.